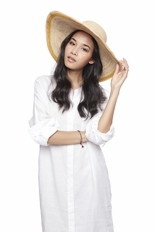 A neutral body and splash of color make Tori an effortlessly chic match for your favorite summer ensembles. 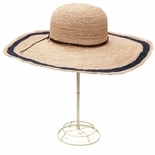 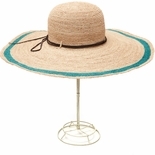 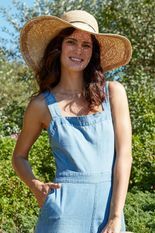 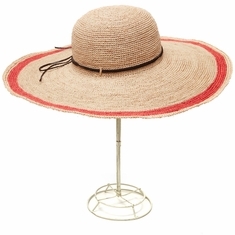 The wide brim provides both generous sun protection and a touch of glamour by the pool or on the boardwalk. 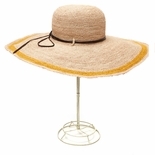 Crocheted raffia sun hat with leather trim & cotton sweatband. 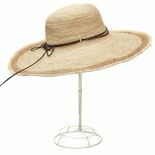 6" brim x 4.5" crown x 23" cir. 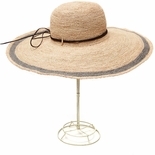 - Approximate dimensions, each piece is handmade.